People who have a 'growth mindset' (instead of a 'fixed mindset') achieve their goals and perform better, according to Dr. Carol Dweck of Stanford University. In these videos, she explains the power of believing, "I'm not there ... yet... what do I need to do next?" The following videos can help you understand why you may be giving up too soon and how to not do so … when you are trying to reach your goals … in your career … with your relationships … even with recreational activities. 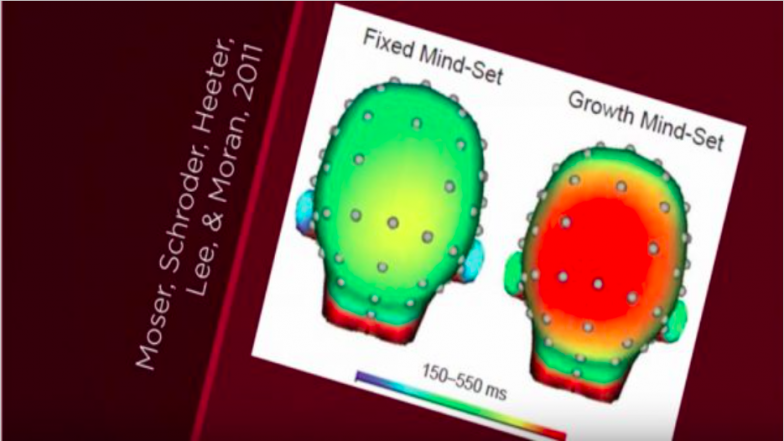 In addition to these videos, you might also want to read how Dr. Dweck explains that people have misunderstood the concept – or people who have a pseudo-Growth Mindset.